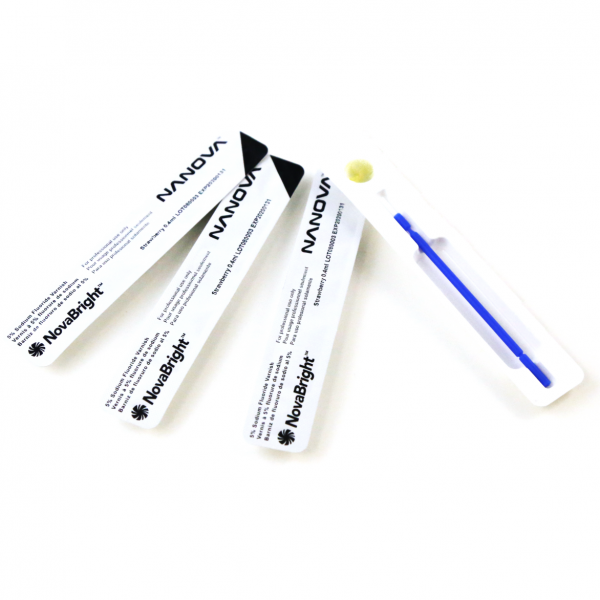 NovaBright™ 5% Sodium Fluoride Varnish is an in-office topical fluoride preparation for use as a cavity varnish and for the treatment of dentin hypersensitivity. 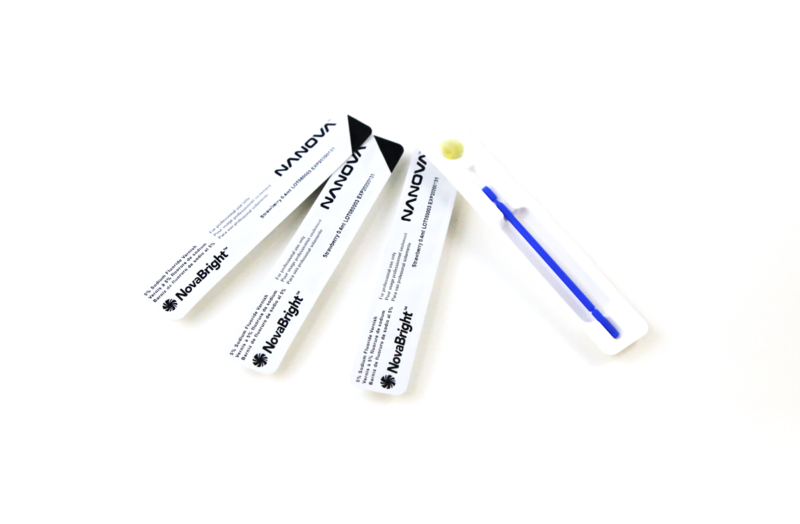 The brush applicator included in every unit makes NovaBright™ an easy product for use in busy dental offices. 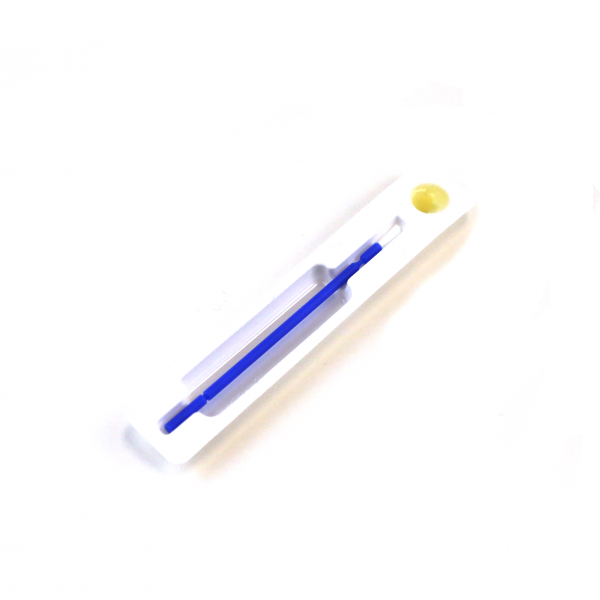 Patients are able to leave immediately after treatment. 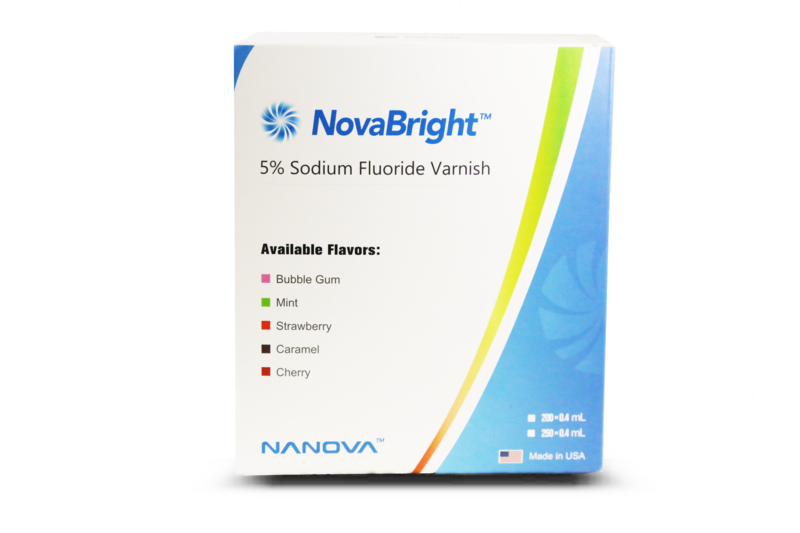 NovaBright™ 5% Sodium Fluoride Varnish is not available for US domestic sale. Email support@nanovabio.com for international distribution price. 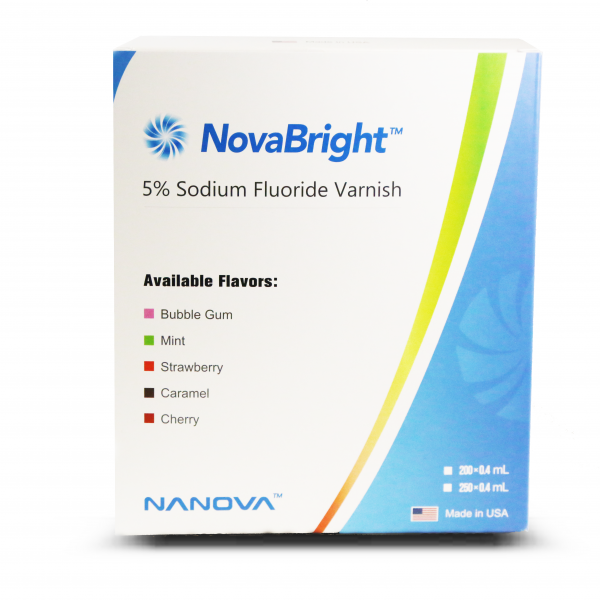 NovaBright™ 5% Sodium Fluoride Varnish is not available for US domestic sale. Email: support@nanovabio.com for international distribution price. D9910 – Application of desensitizing medicament. *Please verify these codes with your insurance provider, as each state health department and provider has specific guidelines for reimbursement. This information is solely provided as a guide and should be verified prior to applying varnish. NovaBright™ can be purchased by contacting our customer service department (573)-875-6682. Interested in trying NovaBright? Please call (573)-875-6682 or email: support@nanovabio.com . 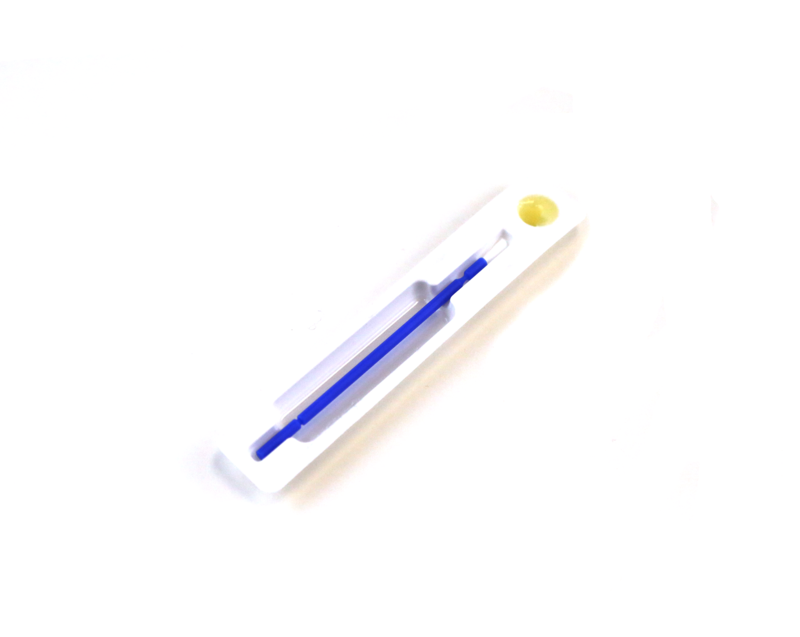 Created in 2007, Nanova Biomaterials, Inc. is a manufacturer and distributor of dental and medical products.